We are a wellness retreat for San Luis Obispo to come for a better well being. Come for a few weeks or months and float as needed for peace and wellness. Daily spa pkg available too. Living Well Gallery and Spa offers sensory deprivation / float tank therapy in the Atascadero, California area. They will help you get the most from your float tank experience. 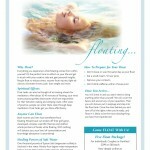 Contact Living Well Gallery and Spa now to schedule a float. Are you considering trying floating in Atascadero? Living Well Gallery and Spa has a float tank available for your use. Come try out floating in a sensory deprivation tank to see and experience the benefits of floating for yourself. 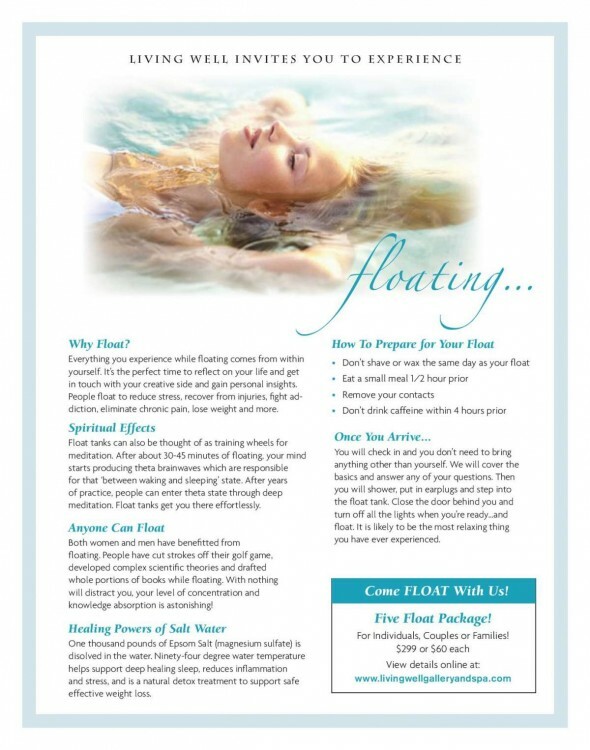 Call Living Well Gallery and Spa at 805 550 3147 or stop by to set up your first float in Atascadero. This entry was posted in California by Barbara. Bookmark the permalink.